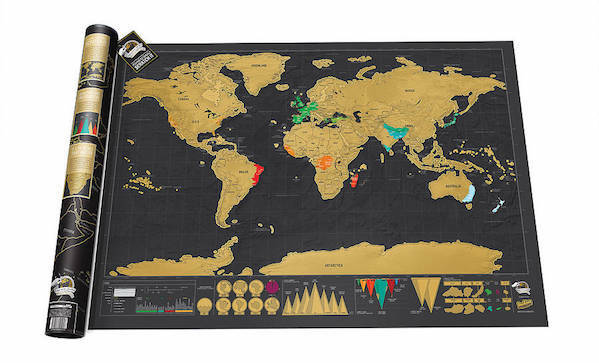 If you’d like to make like Albert Podell and visit every country in the world—and who wouldn’t?—this scratchable world map ($25) is just the ticket. You visit a spot and then scratch it off your map, revealing some colour. Pretty neat.